With the gentle exfoliation properities of poppy seeds and wonderful fragrances of lemongrass and lime, this Rose & Co Apothecary Soap Bar is revitalising. 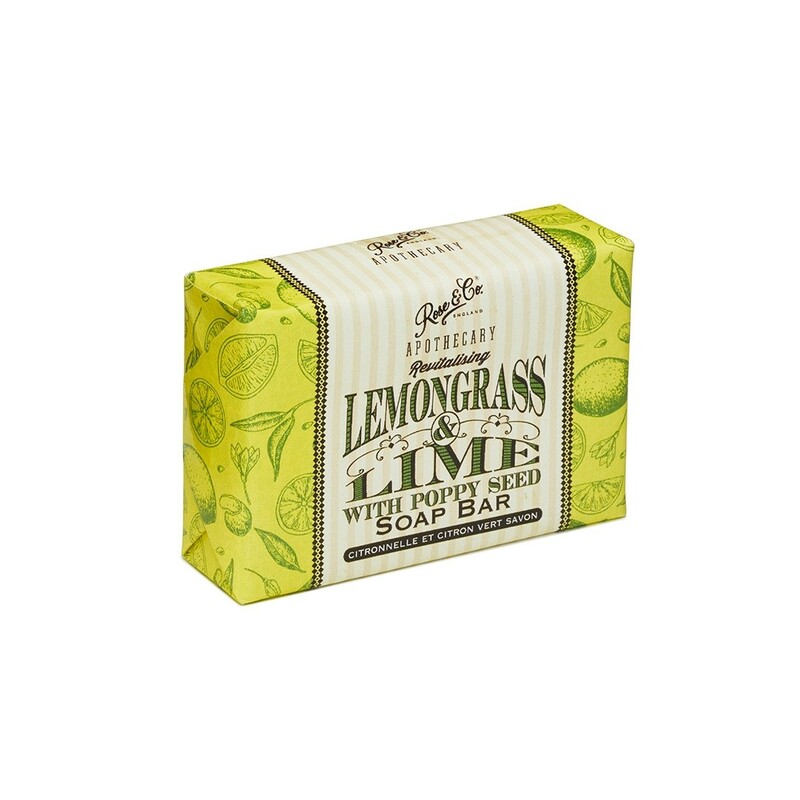 These vegan-friendly soaps are made from pure vegetable oils with generous amounts of moisturising glycerine and nourishing shea butter. This creates a smooth, silky soap that won't dry your skin. Use as an everyday soap to keep skin fresh and hydrated. Sodium Palmate, Sodium Palm Kernelate, Aqua, Parfum, Glycerin, Palmitic Acid, Sodium Chloride, Papaver somniferum (Poppy Seeds), Butyrospermum Parkii (Shea Butter), Tetrasodium EDTA, Tetrasodium Etidronate, Citral.